I love pigeons. Most people hate them, a probably because they can be described like this (thank you Urban Dictionary): "A small feathered creature that eats french fries and like to defaecate on top of people, cars and important things. A subspecies of bird. Also known as the feathered rat or gutter bird." Whateves. 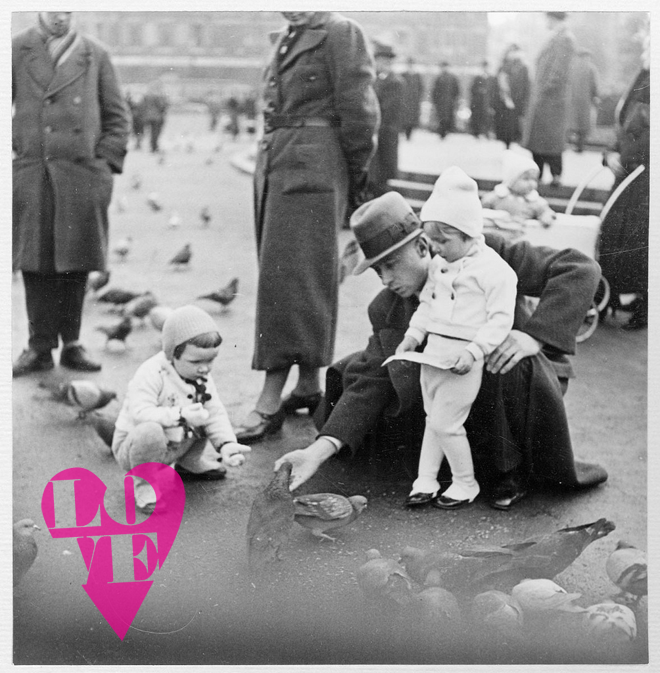 Did you also know that they are Rock Doves, you hear that, doves (classy, right!)? And back in the day people didn't hate them and they fed them snacks with their cute little cherub children. I would also like to note my love for this photo, another thing I can't get enough of, old photos!